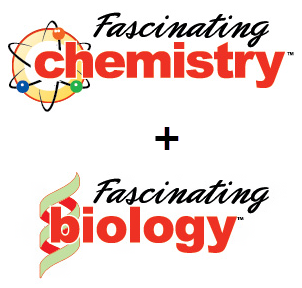 The Homeschool Buyers Co-op is pleased to extend our GroupBuy for online biology and chemistry instruction from Fascinating Education, a new company with an "fascinating" new approach to teaching science. If your student is bored or baffled by traditional textbooks, Fascinating Education could be just what the doctor ordered! 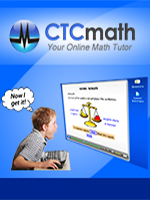 Instead of using written text with explanatory illustrations, Fascinating Education flips the learning process by using realistic pictures with audio annotation by it's creator, Dr. Sheldon Margulies, M.D., to engage the learner. Students actually see and hear how science works in vivid color rather than just reading about it. What's more, Fascinating Education focuses on teaching the essential scientific concepts first, before introducing the math or formulas, so that students understand the why before tackling the how. Dr. Marguiles draws upon a deep knowledge of brain science and a lifetime of experience teaching science to create this curriculum. It has received praise by many educators and adopted by The Walter Reed Army Institute of Research as a core e-learning curriculum. View the introduction at the top of this page. Watch a demo and tutorial video of Fascinating Education's courses. 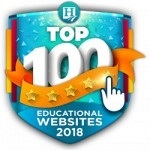 Browse the Fascinating Education website. 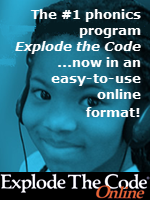 Fulfillment: Within 10 minutes of placing your order, we will publish a special Discount Code in your Co-op "My Subscriptions" page that you can use to get your subscription at the Fascinating Education website for no additional charge. The Discount Code will be valid, and displayed on your "My Subscriptions" page for 120 days only! Service Fee: The Co-op will charge a $1.95 nonrefundable service fee to help cover some of our cost of providing this service. One (1) year subscription to Fascinating Biology for the entire family. Within 15 minutes, the Co-op will publish a coupon code on your "My Subscriptions" page. One (1) year subscription to Fascinating Chemistry for the entire family. In Fascinating Chemistry, students will learn the four ways that atoms bond to each other to create molecules, and how each bond helps determine the properties of the resulting molecule. Student's will also learn how these special molecular properties explain our everyday world from water freezing to nuclear energy to food to metals to weather, and more. One (1) year subscription to Fascinating Physics for the entire family. In Fascinating Physics, students will study the laws of nature governing movement, energy, and sound. Students will learn about the forces of electricity, magnetism, gravity, and the atomic nucleus. They will also begin to understand how mathematical formulas summarize and predict events around us.metals to weather, and more. One (1) year subscription to Fascinating Chemistry & Biology for the entire family. Please see product descriptions above for more info. 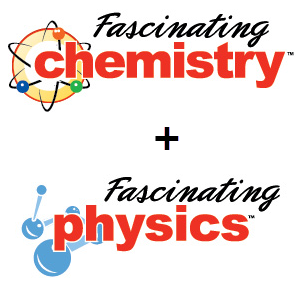 One (1) year subscription to Fascinating Chemistry & Physics for the entire family. 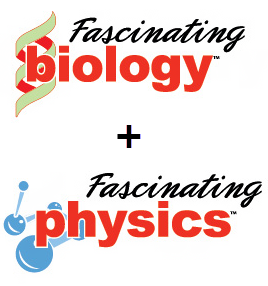 One (1) year subscription to Fascinating Biology & Physics for the entire family. 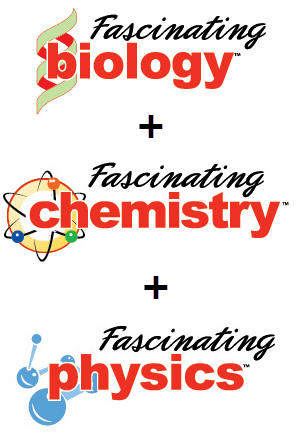 TWO (2) year subscription to ALL three Fascinating Education course: Biology, Chemistry & Physics for the entire family.